Clinical Negligence bei Whooopeee - Günstige Angebote Online kaufen. 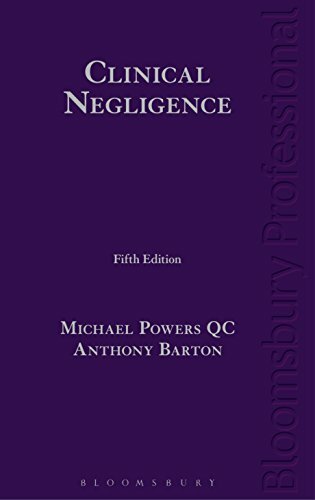 Clinical Negligence, Fifth Edition remains the only text of its kind to cover both medical and legal aspects of medical negligence. Written by a team of 54 experts, it continues to provide the most comprehensive and authoritative guidance on all aspects of clinical negligence claims from bringing an action for damages to presenting expert evidence in court. It also includes detailed consideration of funding and cost implications. Those needing clear updated guidance to make the best possible preparations for an action will find all they need here. The new edition maintains its easy-to-access, two-part structure. The first part, set out in 17 chapters, deals with legal aspects of medical malpractice, including complaints procedures, poor performance and medical professional governance, preparation of medical evidence, settlements and trial. The final 25 chapters in the second part cover the risks associated with particular areas of specialist medical practice. Hoosier Hill Farm ... Millionen zufriedener Kunden seit 1999.